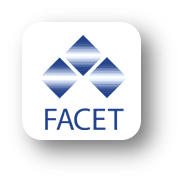 Facet is a human resources consulting firm specializing in the four phases of the Talent Management Cycle: Attract, Retain, Develop, and Transition. The Group’s practice specifically addresses facilitation of smooth career/life transitions for individuals leaving organizations as well as career management, leadership training and coaching for employees whose assignments within organizations are impacted by change or other organizational needs. PARTNER, Facet shares a parallel philosophy of the highest quality and standards with other owner invested firms. Through this network, we provide services worldwide. Facet is also a founding member of GIOA, the Global Independent Outplacement Alliance – the World’s Local Outplacement Experts. The FAB (FAcetBlog) is, well, ‘fab.’ A pleasure working with Carolyn and her team.